Blox Talk is a game that allows children to play with each other without being in the same physical space. It transforms the classic building blocks that children know and love into a physical-meets-digital world. 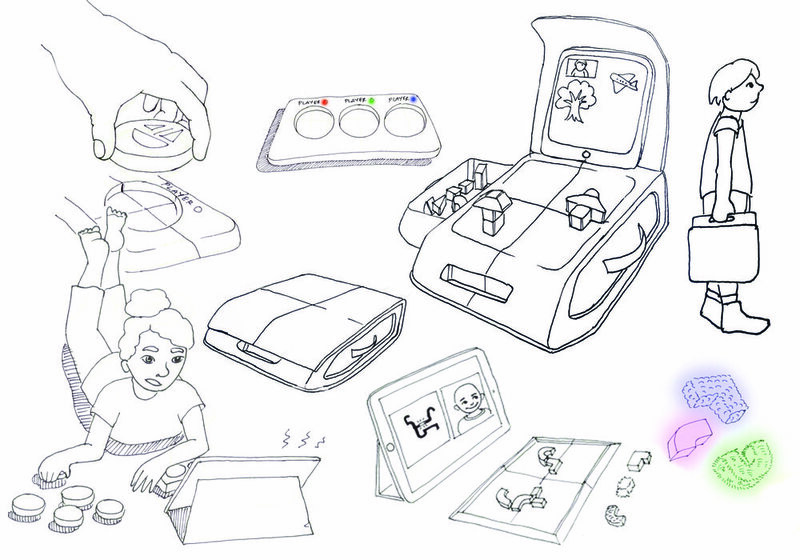 My responsibilities included user research and user story development, sketching and concept development for interactions and the physical product, prototyping, CAD, and model-making. I made personas to better understand the goals of my user. It was important to create a persona both for the purchaser (the parent) and the user (the child). First I sketched a number of different concepts. As a team we discussed the viability of each design, and landed on a game that had familiar interactions (playing with blocks) with a modern twist: digital-meets-physical interaction. Prototyping was very important for this project. We created a number of different cardboard, felt, and 3D printed prototypes in order to test the interaction. When we had our final prototype we tested the interaction with Mica, the young boy featured in our video.